Among all airlines, [[Southwest Airlines | Southwest]] has, by far, the most loyal (some might say rabid) fan base, due largely to its lack of fees and, most importantly, its affordable fares. The reason Southwest can avoid extra charges while keeping fares low is the airline’s famously successful fuel hedging, which has Southwest buying 70 percent of its jet fuel this year based on oil priced at a paltry $51 per barrel (at press time, a barrel of crude cost around $100). 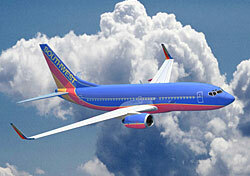 The elephant in the room, however, is that Southwest’s fuel hedges will run out over the next few years. In 2009, the airline will purchase 55 percent of its fuel at the $51 price, and by 2012 it will buy a mere 15 percent at roughly $63 per barrel. Everyone, from loyal Southwest customers to industry analysts, wants to know what happens when these hedges are gone. Will prices rise to cover the vanishing advantage these hedges provided? No one can predict the future, but my guess is that Southwest won’t change much, even as its fuel costs inch toward the industry norm. Southwest has built its current surge of popularity on the simple premise that it won’t hose you down with excessive fees or outrageous airfares. For an airline to backtrack on promises like those could be devastating, and I can’t imagine Southwest doing so. That’s my gut reaction, sure, but the numbers support it as well. Not only has Southwest posted profits throughout the ongoing industry downturn, but it is in such strong shape from a financial standpoint that in May it guaranteed a $600 million loan with its own jets. As my colleague Tim Winship said at the time, Southwest was using its strong position to prepare for an unknown future, essentially fortifying itself against potential struggles down the road. Like, for instance, when its fuel hedges run out. So in short: Time will tell.